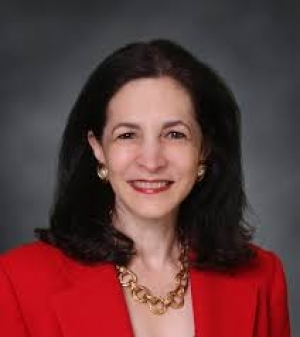 State Rep. Gail Lavielle (R-143) today announced that the National Federation of Independent Businesses (NFIB) Connecticut Save America's Free Enterprise (SAFE) Trust has endorsed her candidacy for reelection. NFIB is Connecticut’s and the nation’s leading small business association, with offices in Washington, D.C. and all 50 state capitals. Founded in 1943 as a nonprofit, nonpartisan organization, NFIB’s mission is to promote and protect the rights of small and independent business owners to own, operate, and grow their businesses. “Your voting record over the last two legislative sessions on key issues important to small business indicated that you will continue to be committed to the needs of thousands of Main Street small businesses and their employees in Connecticut when you are re-elected to serve in Hartford,” said Andy Markowski, State Director of NFIB/Connecticut, and Wendy Traub, Chair, NFIB/CT SAFE Trust Committee, in their endorsement letter dated September 17, 2014. Lavielle is Ranking Member of the General Assembly’s Commerce Committee and of the Appropriations Subcommittee on Transportation. She is also a member of the Appropriations, Education, and Higher Education Committees, and of the bipartisan Manufacturing Caucus. Drawing on her 25 years of management experience in the business world, she has developed or supported many proposals to make Connecticut’s government less costly and more efficient, create a fertile climate for jobs, reduce the tax burden on people, businesses, and municipalities, and make the state more competitive as a place to live, work, raise a family, and retire. In 2014, she co-sponsored or introduced successful legislation that extends apprenticeship and other tax credits to small businesses; expands tax breaks for small manufacturers that invest in equipment, facilities, or training; provides assistance to small business owners who want to hire new apprentices; and prepares the way for the creation of a Connecticut Port Authority. The 143rd House district includes parts of Wilton, Norwalk, and Westport.